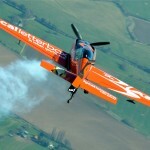 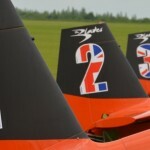 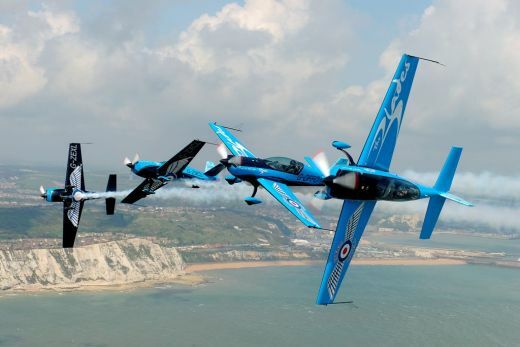 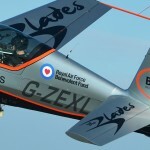 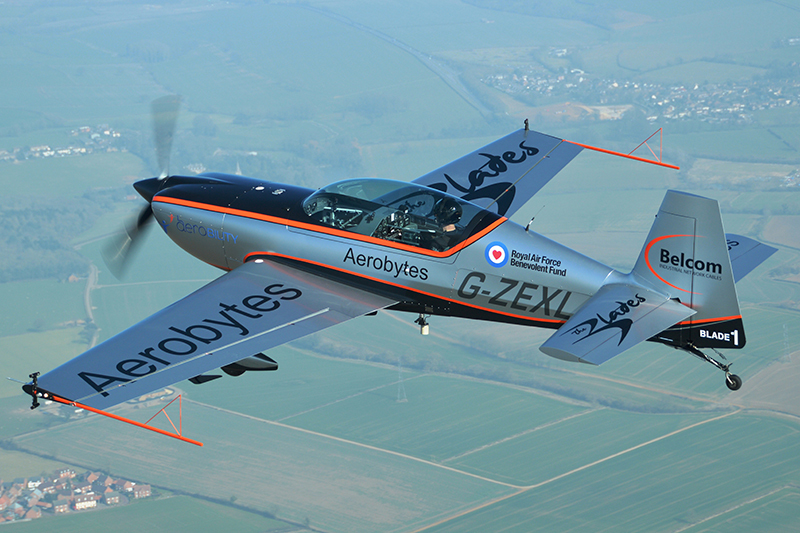 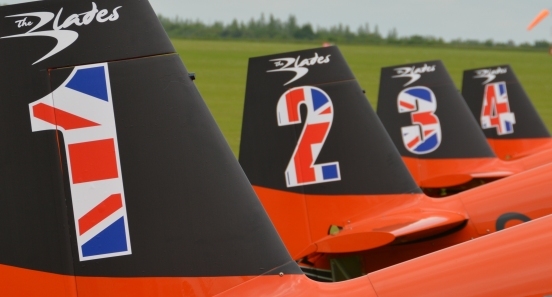 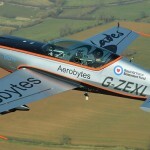 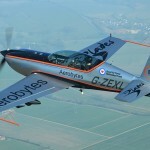 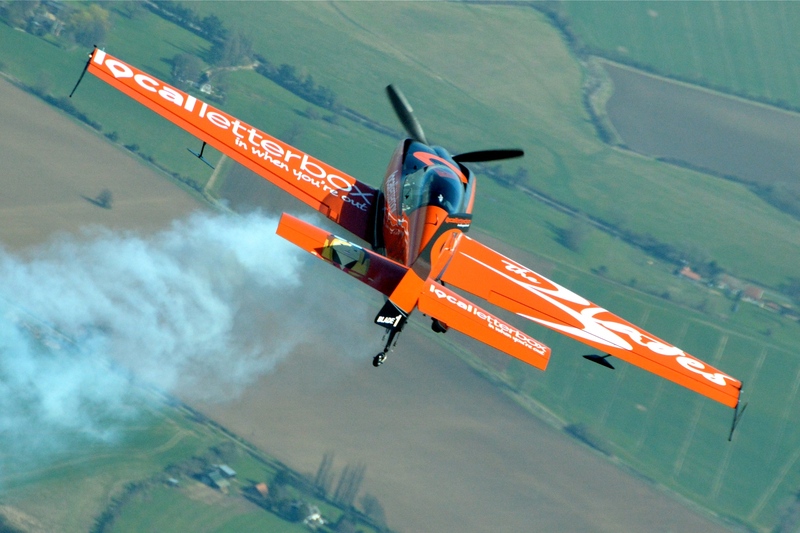 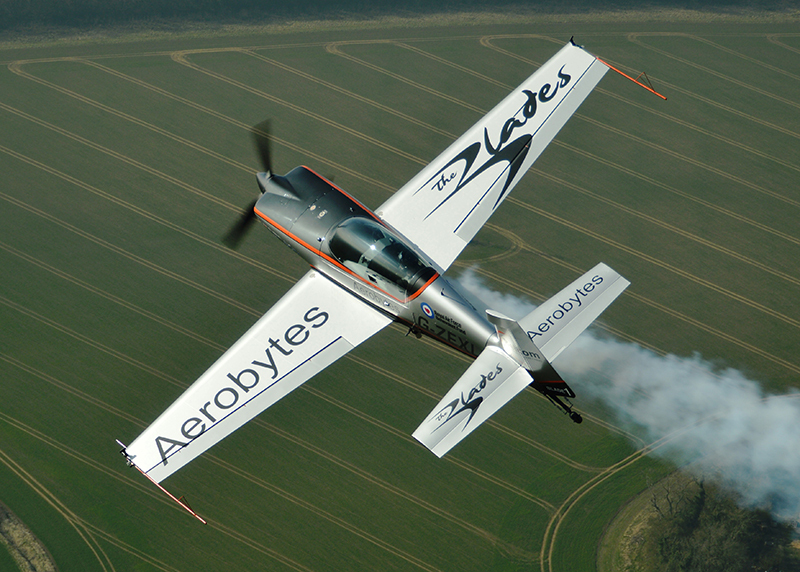 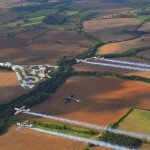 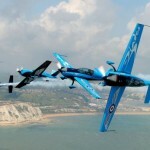 The Blades Aerobatic Display Team | Belcom Cables Ltd. 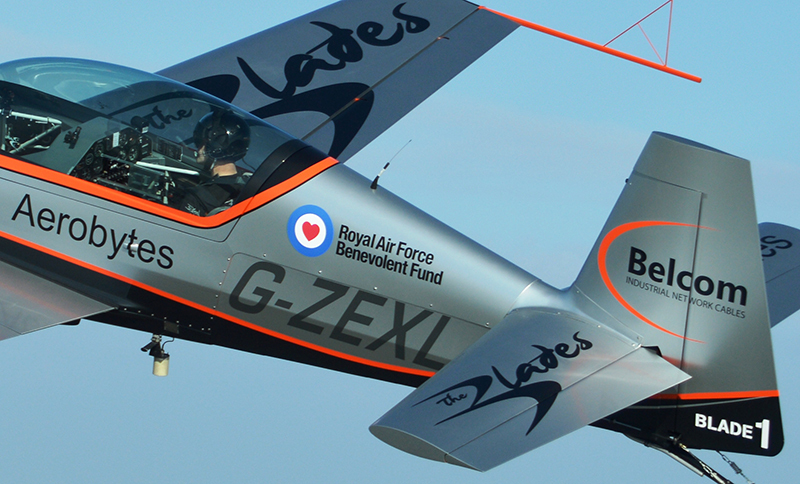 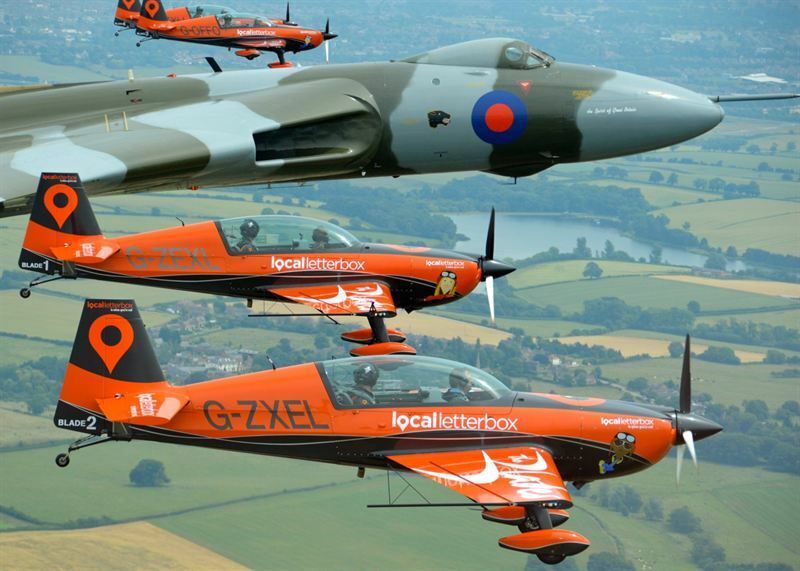 The Blades Aerobatic Display Team is a full-time civilian display team. 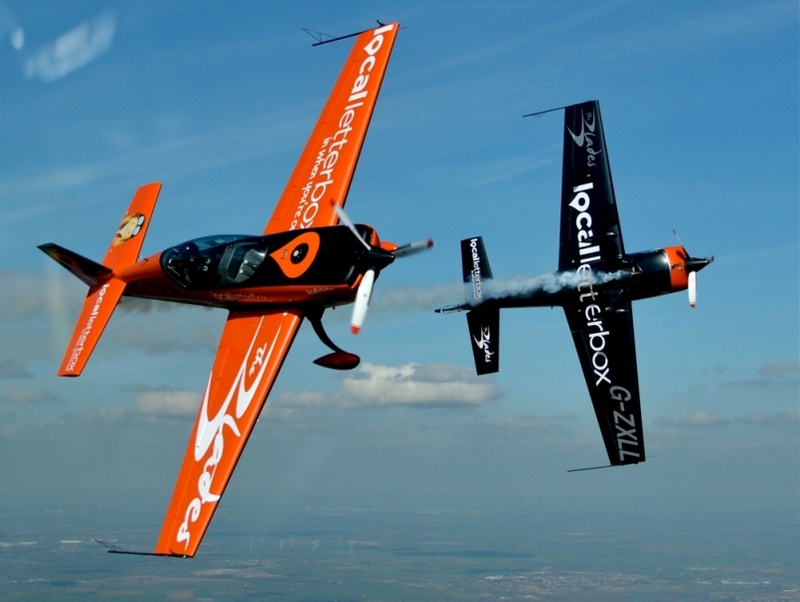 It is the only display team in the world that, in addition to flying air displays, also acts as an airline taking passengers on close formation aerobatic flights for unforgettable flying experiences. 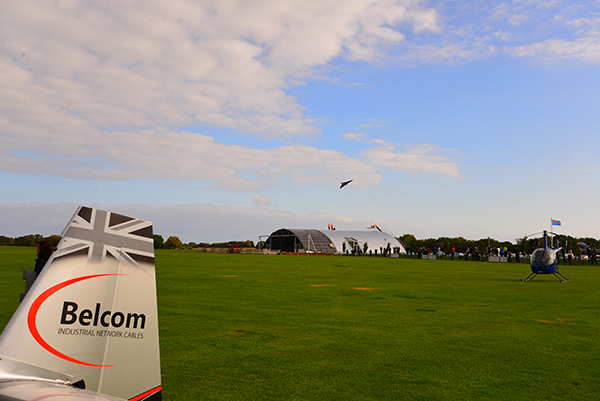 The Team also offers a unique platform for delivering bespoke aviation and flying events, corporate days and a fantastic conference venue and summer ball venue. 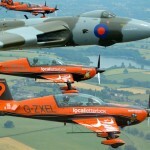 An extremely exciting way of contributing to an excellent cause. 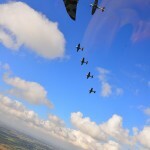 Several of our more intrepid staff together with friends and customers were able to experience the thrill of aerobatic formation flying as passengers in the Blades four wing display team.The pilots, all ex-fighter pilots and former Red Arrows skillfully put the ‘Extra 300′ aerobatic planes through some amazing turns and loops whilst only 12 feet apart. 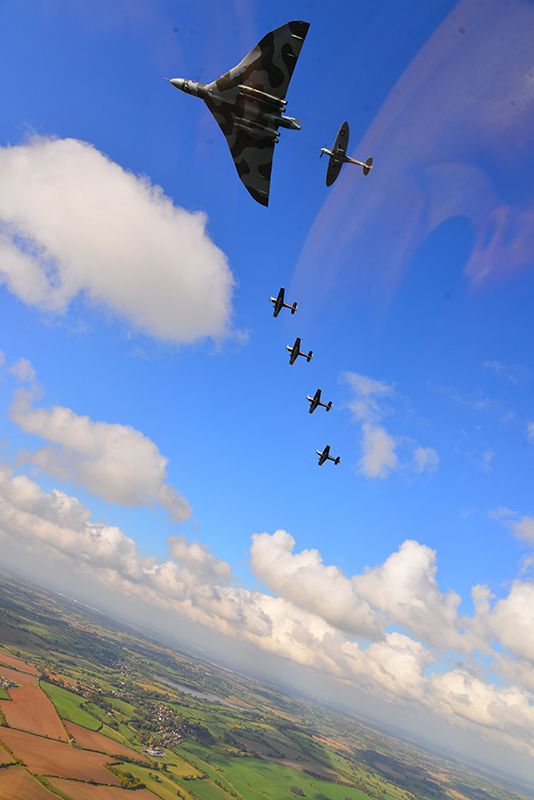 There is something surreal at being able to look across at the big grin on the passenger in the next plane as the horizon turns above your head. 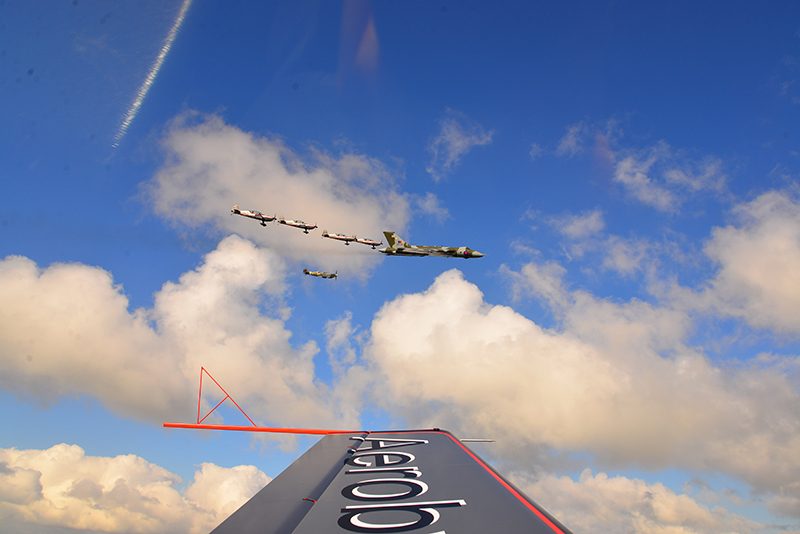 Belcom are delighted and privileged to have joined The Blades Aerobatic Display Team for the final formation flight of The Legendary Vulcan Bomber XH558. 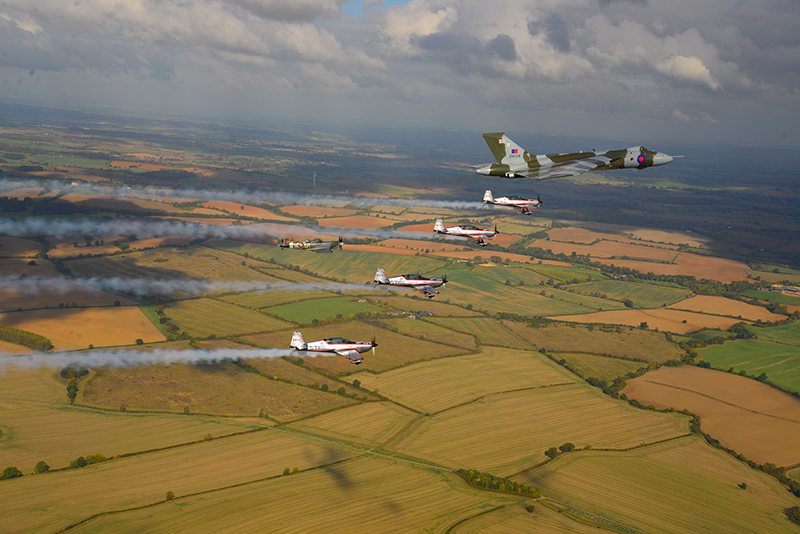 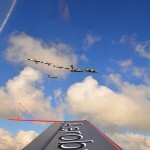 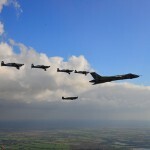 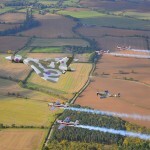 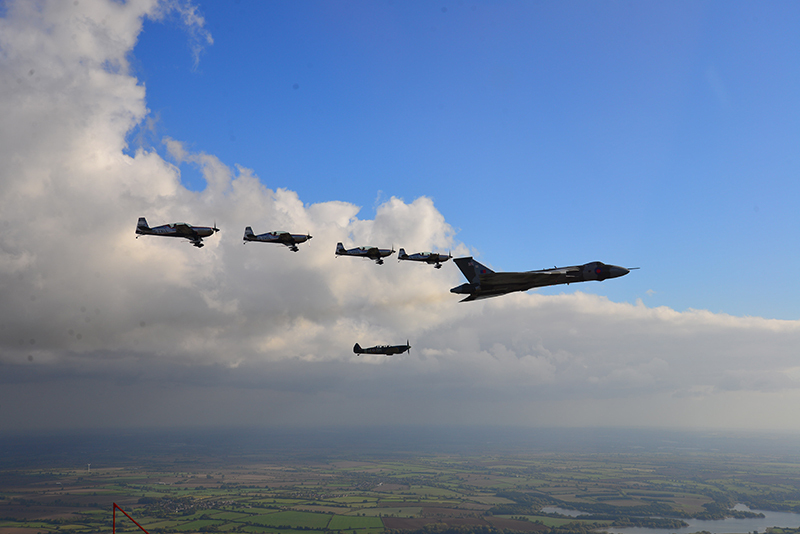 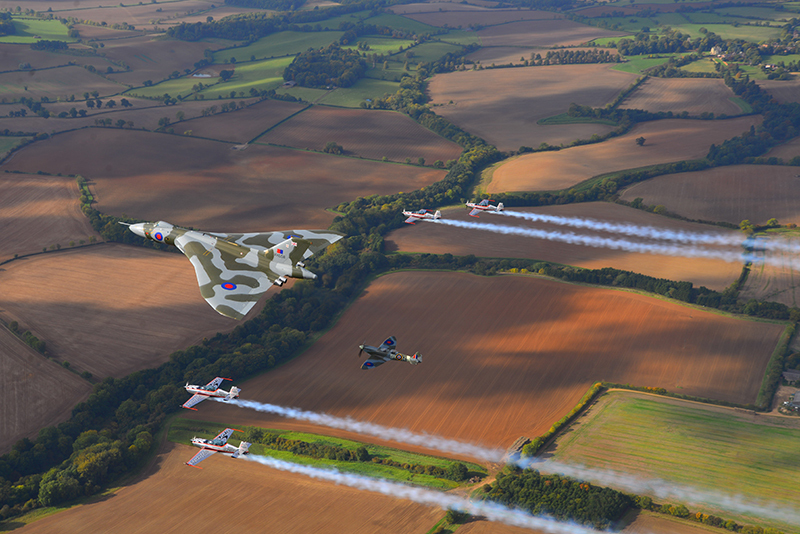 On a cool aired mid October morning we joined in formation with the Vulcan over the Northamptonshire countryside. 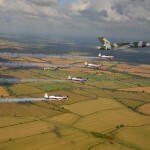 The pictures shows Blade 1- piloted by Mark Cutmore, Blade 3- piloted by Myles Garland, Blade 4 -piloted by Andy Evans and Blade 5 – piloted by Ben Murphy, with the Vulcan piloted by Bill Ramsey and co-piloted by Martin Whithers, closely followed by Spitfire PV202 piloted by retired Air Marshall Cliff Spink, CB, CBE, FCMI, FRAeS. 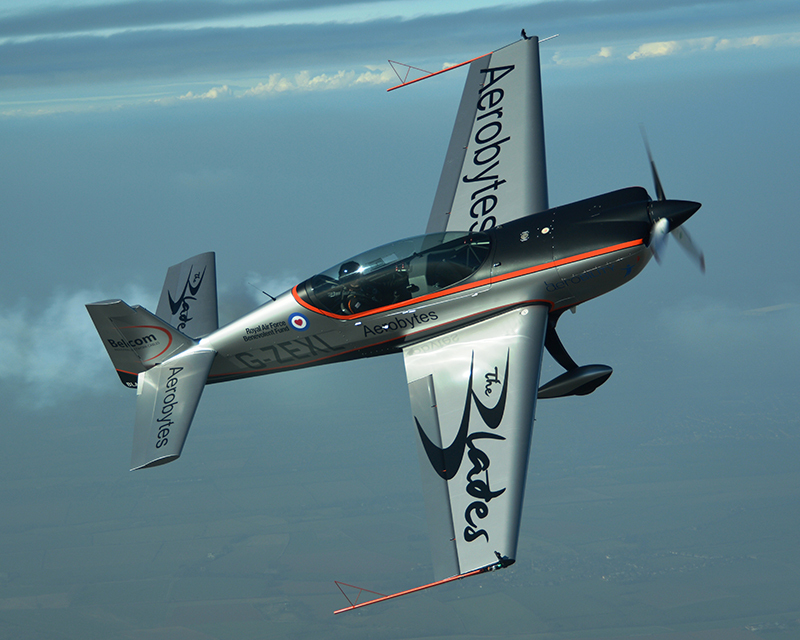 The camera shots are taken from Blade 2 flying off formation and piloted by Andy Offer OBE. 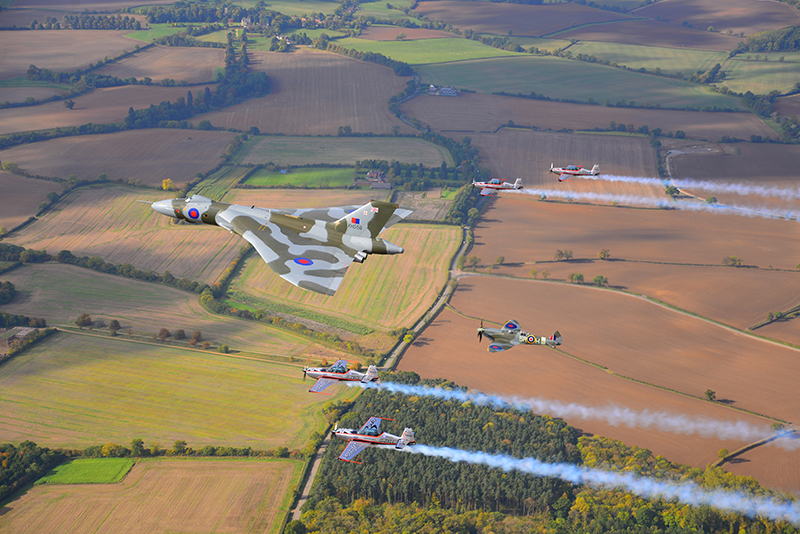 We would like to extend our deep gratitude to the Vulcan to the Sky trust and our congratulations on maintaining the XH558 in flight for as long as they could. 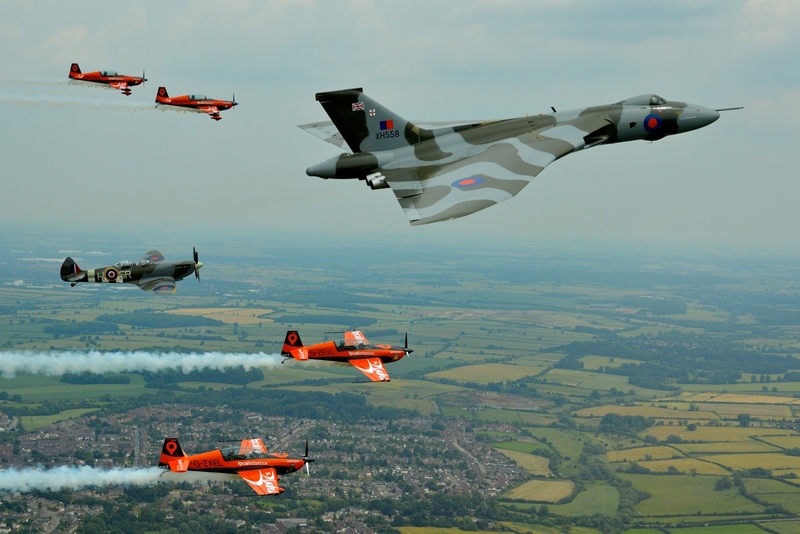 The XH558 will be greatly missed from the Airshow skies but can still be viewed in its original Cold War Hangar at Doncaster Airport.